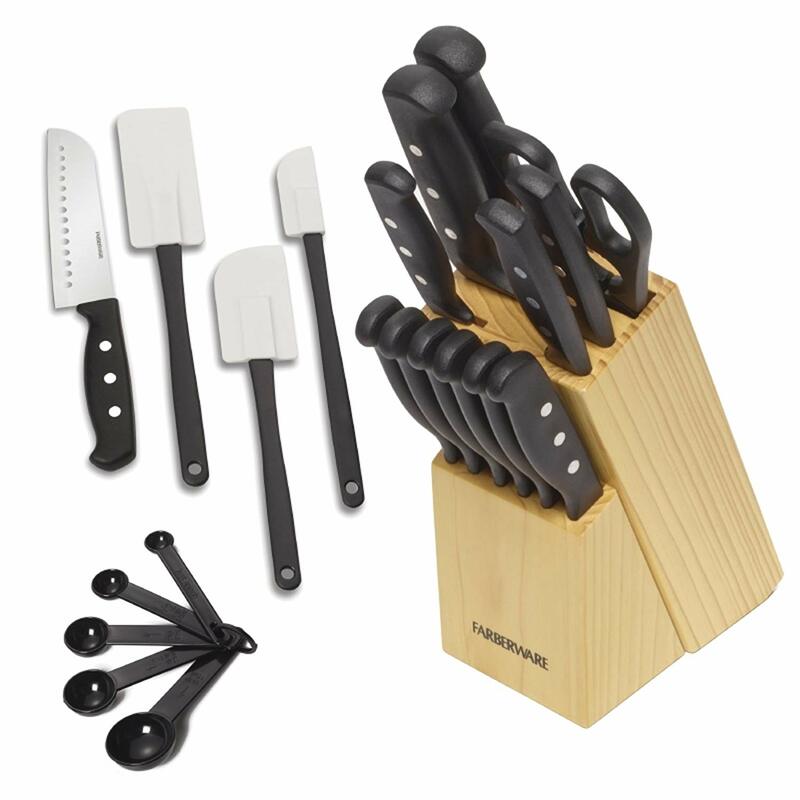 Savvy Spending: Amazon: Farberware 22 piece Never Needs Sharpening Knife block set for just $12.38 shipped! Amazon: Farberware 22 piece Never Needs Sharpening Knife block set for just $12.38 shipped! Amazon has this Farberware 22-Piece Never Needs Sharpening Knife Block Set for only $12.38 shipped (regularly $19.99)! Includes an 8-inch chef knife, 8-inch bread knife, 5-inch Santoku, 5.5-inch serrated utility knife, 4-inch utility knife, 3.5-inch paring knife, SIX 4.5-inch steak knives, all-purpose kitchen shears, five measuring spoons, three spatulas and a wood storage block.